It is Sunday morning and we have been out talking with the rest of the group this morning. 3 or 4 rigs have left already. It is now 9:30 and we are packing up and getting ready for our trip home. It will be about 8 hours on the road. We don’t hit traffic, so the drive should be a good one. Well, Sunday afternoon might mean a little traffic here and there, but I don’t expect much. This has been a wonderful weekend. The place is beautiful, the people have been fun and the weather was perfect. You couldn’t ask for a much better weekend. 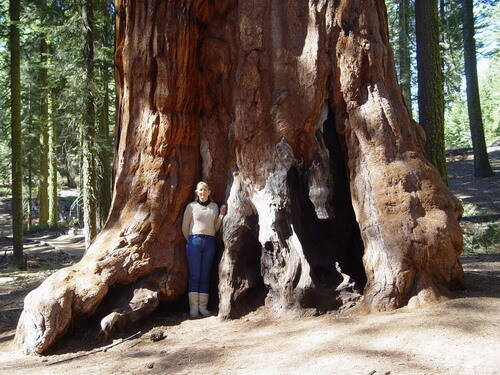 We were lucky and one of our friends who lives near here took us to see a grove of giant sequoia trees. There are amazing. Some of these trees are over 2000 years old. It was an awe inspiring sight.